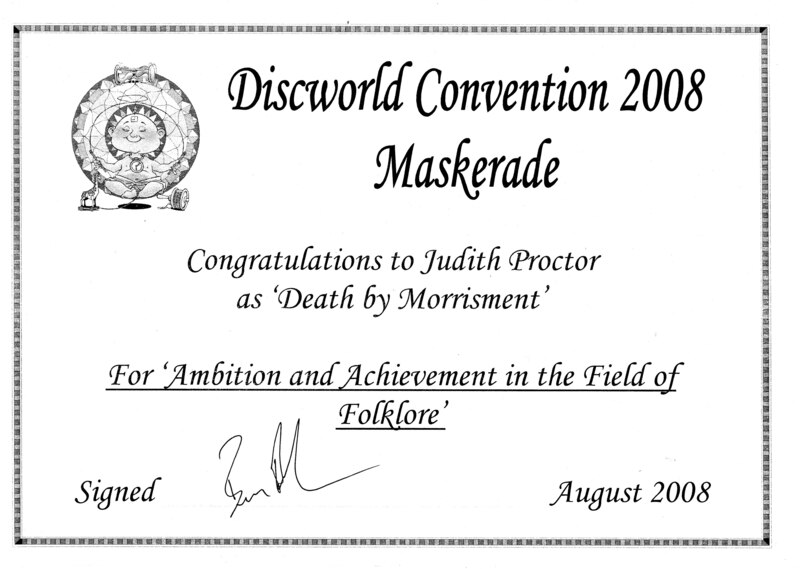 The Discworld convention is, naturally, frequented by Pratchett fans, who often have an interest in folklore and folk traditions, as well as fancy dress, role play, literary analysis, etc. 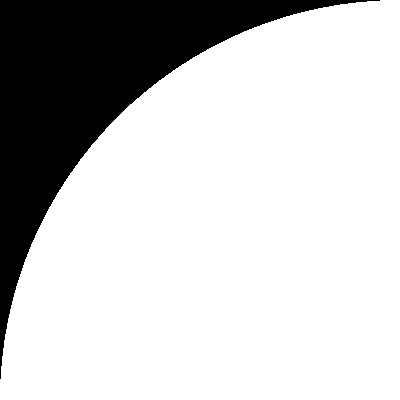 In 2008 the members of the Convention were all assigned to different guilds and the assassins' guild decided it would be apropriate for them members to learn a longsword dance, complete with mock execution at the end. The next convention, Judith taught the dancers, and it went on from there. Books on longsword were acquired and the history studied and Anonymous had their arms twisted to learn a longsword dance. 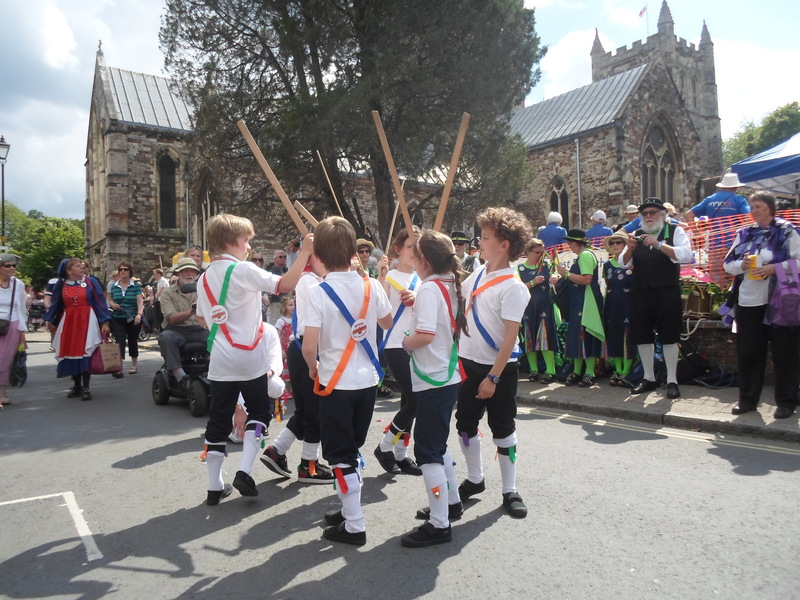 We often teach longsword workshops at Purbeck Folk Festival (aka Purbeck Valley Folk Festival) and also teach the children of Pamphill school in the run up to Wimborne Minster Folk Festival.